Everyone plays. Kids and adults. Men and women. Uptight or relaxed. Tall or short, from any place on the Earth and with any skin colour. We play with our hair and our food. We play when we tease our friends and family about their weird habits. We play videogames and boardgames. We roleplay as practice for a big interview or new job, or just for fun. Play is a natural part of being human, and even if we don't realise it we all spend at least some of the time every day playing. I want to capture the most fascinating, heartwarming, funny, surprising, and embarrassing stories centred around play — to celebrate all that is wonderful and diverse about how we humans, and the company we keep, play with each other and ourselves, and the things we build to enable new kinds of play. I'm taking inspiration from radio shows like This American Life, 99% Invisible, Snap Judgment, A Life Well Wasted, and many more. That means episodes are scripted and edited from interviews to tell a story — or many stories. 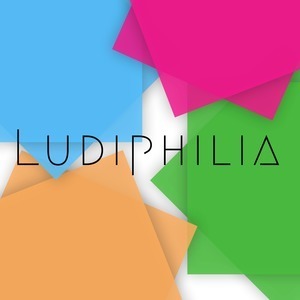 Ludiphilia is the one-man production effort of me, Richard Moss, a freelance writer and journalist based in Melbourne, Australia. To read my best work, head over to my portfolio site. If you have any questions, queries, ideas, or suggestions for the show — all of which I'd love to hear — please either tweet @ludiphilia or send me an email on richard at ludiphilia dot net.